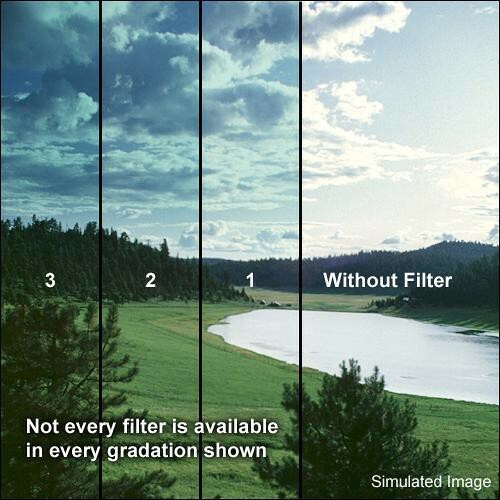 The Formatt 127mm Graduated Tropic Blue 3 Filter is one of the most widely used category of filters. It enhances reality, adding a touch of subtlety or drama to the image. This filter adds a significant amount of blue to the image and can transform a relatively simple image into a lovely, saturated photo - especially when it comes to water and sky.